Most of us get our bills, see the amount due, submit payment and then forget about it. We trust that the information presented is accurate, and we don’t have time to stress over nickels and dimes. However, when managing an enterprise with an ever-expanding inventory of telecommunication equipment and services, those nickels and dimes can add up fast. To ensure you aren’t overpaying for services you don’t use, a telecom audit might be exactly what your company needs. Yet, an audit may seem daunting for time-strapped IT professionals who are continually trying to do more with less. But what if it doesn’t have to be? MDSL can get clients back on track — quickly and conveniently — with a telecom audit that’s designed to improve budgetary forecasting by revealing necessary and unnecessary expenditures. On average, companies receive 2 to 5 percent in savings following an audit — equating to a lot of nickels and dimes. • TEM professionals do the heavy lifting. The ultimate goal of a telecom audit is to make life easier, so there’s no reason the audit itself should be hard. When partnering with an experienced Telecom Expense Management (TEM) provider like MDSL, an enterprise has little work to do. It’s essentially responsible for providing a full inventory list of telecom services and contracts, but the subsequent research and data analysis are completed by the provider. • Telecom costs become fully transparent. 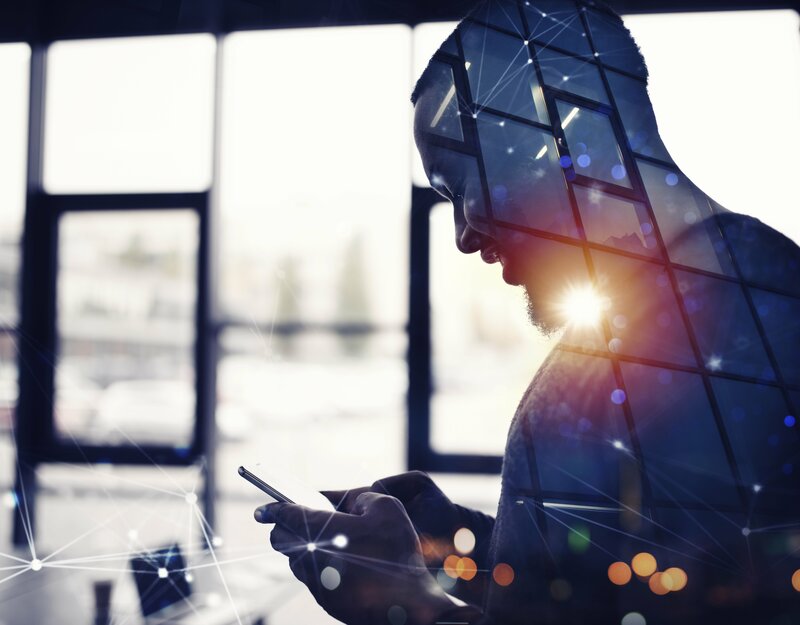 Taking advantage of a telecom audit gives enterprises an ability to increase savings, validate invoiced charges and optimize legacy technologies so they work the way they were intended. Additionally, they are less likely to experience any unwanted surprises at the end of the month; getting a clear perspective empowers companies to easily control and track their finances. • Your data is demystified. Do you know your daily or monthly data usage? Chances are, probably not. Don’t expect this information to be readily available either — most people rely on estimates or month-to-month invoices to determine how much data or voice calling they’re using. TEM providers take the guesswork out of the equation: as part of an audit, they have the capabilities to monitor and analyze real-time data usage — even within large-scale operations — resulting in a more accurate picture of what services are being used — and abused — and when. Then, enterprises can anticipate these costs to develop a budget. • Mobile optimization is verified. When a large enterprise manages expansive mobile lines and diverse rate plans, there can be an overwhelming amount of data to verify. As people join, shift roles and leave the company, invoices may reflect lines with ceased services and zero usage but an associated cost. A telecom audit illuminates the consumption of data and optimization opportunities, and can, in turn, reveal gaps in mobile plans where savings can be immediately realized. • Your costs are compared to industry benchmarks. The benchmark price of telecommunication services isn’t common knowledge, which means you likely don’t know how your rates compare to the broader industry or geography – and whether you are unnecessarily footing high bills. Or, when it comes time to renew, how do you know the current prevailing rates? A TEM provider with the experience, technology and established supplier relationships is needed to assess whether your telecom costs are current, fair and forward-thinking. • An overview of the service you signed up for — and the service you need. It’s easy to overlook miniscule changes in contractual agreements — we have all scrolled through the fine print, assuming it isn’t as important as the big bold text. However, these tiny details might play a big role in how much services cost. Telecom vendor contracts are carefully validated or disputed during an audit, showing you exactly why a refund may be due or where verbiage needs to be negotiated to align with your needs or industry benchmarks. • A crash course in today’s tech. A thorough telecom audit will reveal modern telecom services are perpetually changing, updating and expanding. As companies embrace cloud services, the Internet of Things and other future-focused services, the scale of today’s networks continually grow. For one person — or one IT department — this can be a lot of information to keep track of. Outsourcing this labor saves money and time as an audit sorts through the entirety of a company’s telecom inventory, helping to clarify which services are needed or underutilized. During this process, enterprises can learn a lot about their tech and how it intersects with daily operations. • A time-consuming, frustrating experience. With the right technology and the right expertise, audits can be simple for the company to accomplish. A skilled TEM provider understands how to digest and process an enormous amount of information, so a concise analysis is delivered to the company. This process doesn’t waste time nor labor — IT professionals will be freed up to focus on other high-priority tasks. • To be left in the dark. A telecom audit is best accomplished when approached collaboratively. The enterprise’s cooperation is imperative to ensure all proper information is delivered, while a TEM provider needs to keep the enterprise’s priorities top-of-mind. The telecom audit can be an educational experience for both parties and may represent the beginning of a long-lasting partnership. • Your carrier is billing correctly. Seemingly small errors are unavoidable. Even if a company has been loyal to the same carrier for years, it is important to recognize the possibility that mistakes may have occurred along the way. System glitches, human error, call rating and lack of oversight regularly contribute to billing errors. And with multiple service suppliers, monitoring billing can be a challenge — that’s where a TEM provider is a huge asset. There are ways to stop losing money, and a telecom audit is a great place to start. Getting finances in order — and sifting through the mountains of associated paperwork — doesn’t have to be the insurmountable task that is sometimes seems to be. After clearing up any uncertainties, an audit becomes an asset rather than a burden. MDSL offers a combination of cutting-edge technology, data-driven recommendations, an experienced staff and a proven dedication to clients that all make a holistic audit stress-free. Learn more.